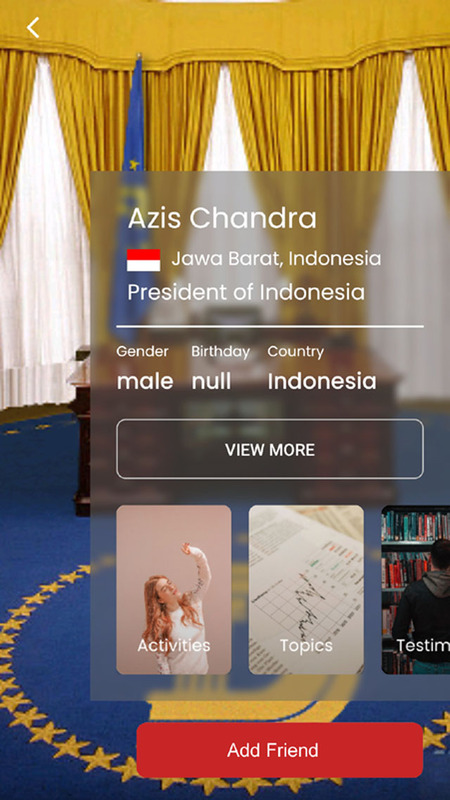 Introducing the world's first decentralized social network based on nations! It's a virtual world platform and an exciting new trend on social networking. Available now on Google Play Store! DEWA stands for Decentralized Ecosystem of the World Affairs and is the nation-based social network. It divides its members up in countries, where they originally from. DewaNations is a very unique social network. At DewaNations, you can become the president, vice president, governor, mayor or just simply an average citizen. 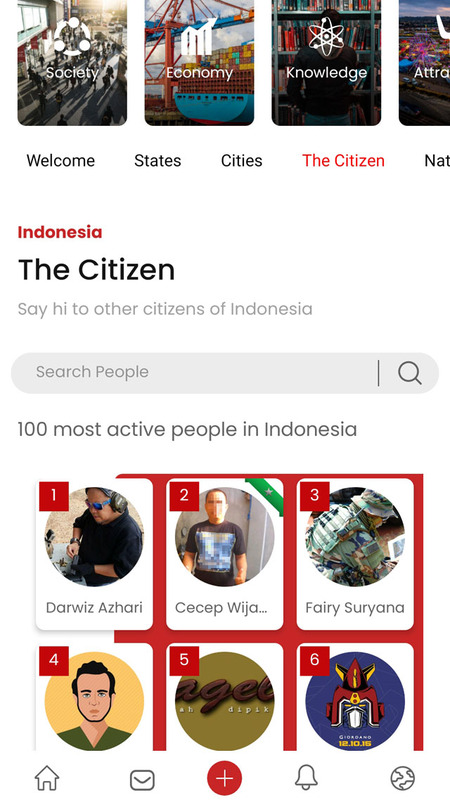 With DewaNations App, you will learn about different cultures, enjoy viewing great destinations and listen to local music right there from your device. Browse and share on our sophisticated sectors of categories (Instant Articles). Share your unique local street food pics to other people in the world. Make the world a better place is a noble dream usually pursued by startups. That's a huge task. And here we are. We are here to reorganize the Web and decentralize the social network. DewaNations reorganizes information on the Web, based on nations along with its culture, its people and other sectors. The Web? Yes. The social network, wikipedia, news portal, marketplace, search engine, youtube - you name it. The Web is a very big place. DewaNations filters the massive amounts of information on the Web down to what is relevant to each individual and business. How many of you that do the search up to the 5th page on Google? Look at those irrelevant results. Your search is probably stop at the very first page and end up on Wikipedia. And how many of you that have a difficulty in finding new friends from other countries all over the world on Facebook? We want to solve those problems. We are reorganizing the Web to facilitate marvelous discovery, where relevant information will be provide to the user, by browsing complete, well organized and sophisticated categories structure called the Sector. 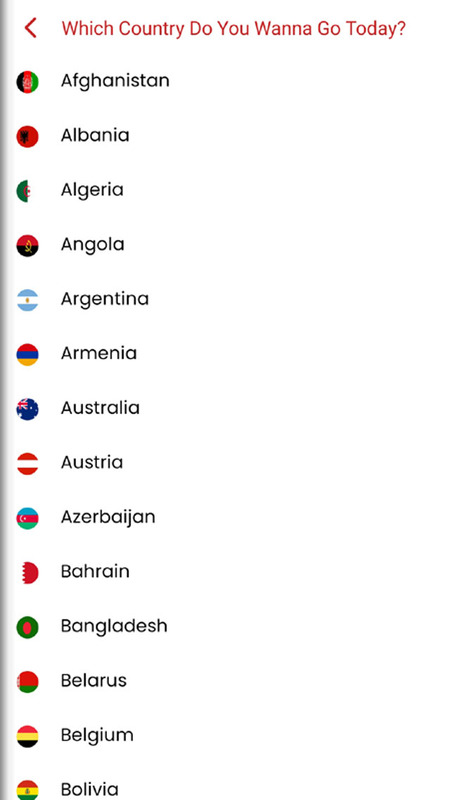 We also divide our users up in countries, where they originally from. We're making it easy for people to find some informations or someone through our easy-to-browse virtual nations system. Do you know that people prefer to browse folder by folder when they're looking for a file and use search feature only when it's necessary on Microsoft Windows? By having well organized folders, people find things easily. 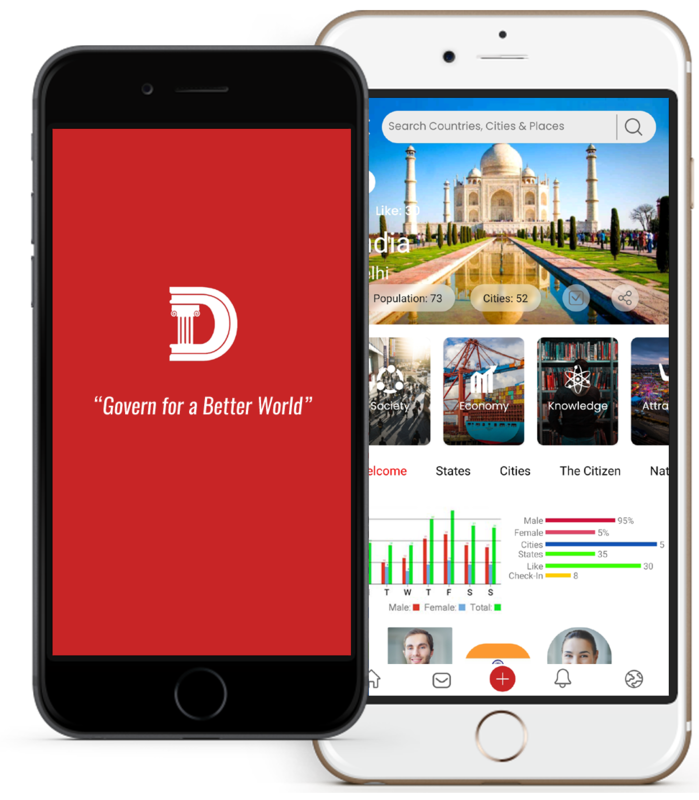 DewaNations is the world's first decentralized Social Network based on nations. 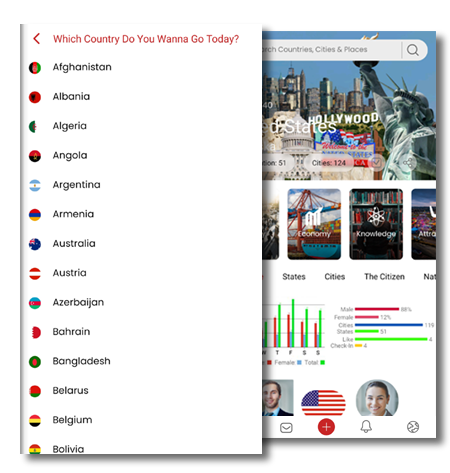 It's a virtual country platform and an exciting new trend on social networking that divides its members up in countries, where they originally from. Dewa is the new innovation which will become a new phenomenon. DEWA stands for Decentralized Ecosystem of the World Affairs. It's the only decentralized nation-based social media out there and if it grows as expected it can be a global hit. DewaNations is a virtual world that breaks down the barriers, building bridges among countries and unite all nations through economy, culture, tourism, traditions, culinary and not to mention its people. Dewa is an ongoing social network project to shape, together, what it means to be a good citizen in the 21st century. Our ultimate mission is for the world peace. At Dewa, we'll have alternate future global leaders. Potential young alternate leaders will be born through our democracy laboratory. Just like an online forum, Dewa consist of admins, global moderators, moderators & members. We call the powerful admins as the presidents; global moderator as the vice president, ministers & ambassadors; regular moderator as governor & mayor; then we call our members as citizens. The fun part of Dewa is the fact that Dewa will be run by men and woman from different nations that are seen as leaders. Unlike Facebook, Google+, Path and other social network, you will see a lot of passions and ambitions here at Dewa. It divides its members up in countries, where they are originally from (their nationality). There will be positions to compete for such as president, vice president, governor, mayor and other government officials as they will rule the country and where all the average citizens can participate in the election day by voting for their favorite candidates. This is done by the worldwide election day. And that makes Dewa a lot more dynamic compared to other social networks. It is unique, fun and can be educational. 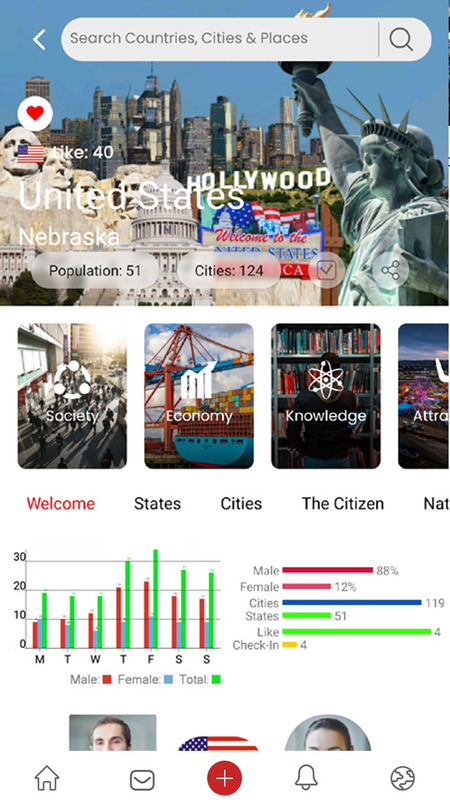 We are excited to see where the future will take this app. How would you like a friends list that is more colourful with real friends from every nation? Next time you visit China you know you will have a friend there. Be one of the first to join what will be an amazing new trend on social network. We Are the new Web, the next generation of social network. A true decentralized Social Network based on nations. Why Sign Up for DewaNations? Become the president and rule your country and get commission from your country's earning. Participate in the worldwide election day by voting for the favorite presidential candidates to rule your country. 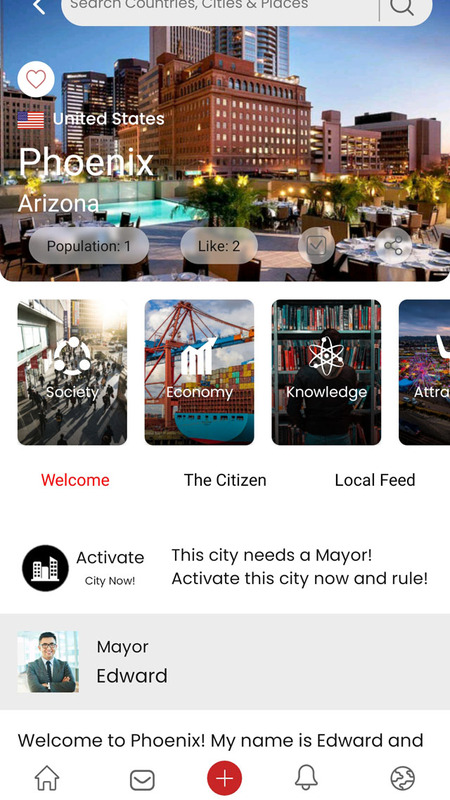 Create your city and become the governor or mayor and promote your local tourist attractions as well as traditional and street food. 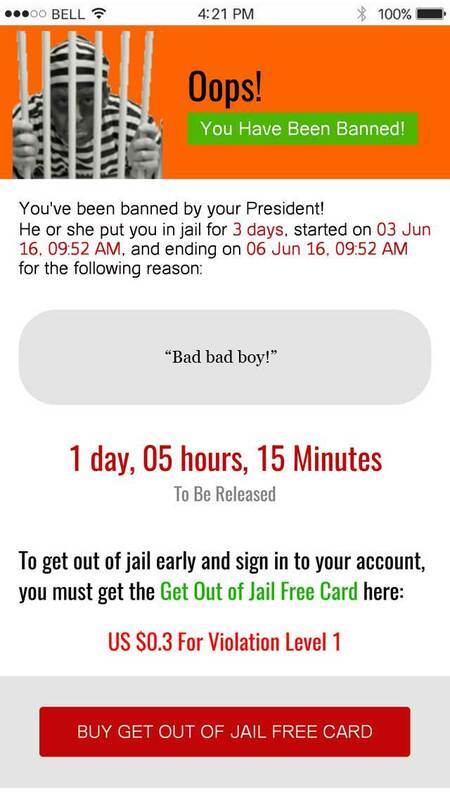 As a mayor, governor or president at DewaNations, you have the power to edit or delete your citizens' postings and even ban bad citizens by sending them to the virtual jail. You also got a chance to communicate directly with the real mayor, governor or even the real president of your beloved country. 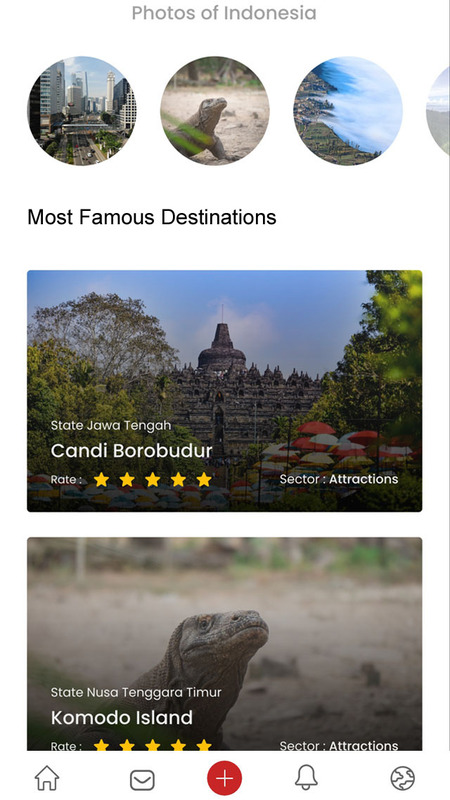 Participate on the social infrastructure development by providing cool infos about tourism, science, technology etc on our Instant Articles feature called 5 Sectors. 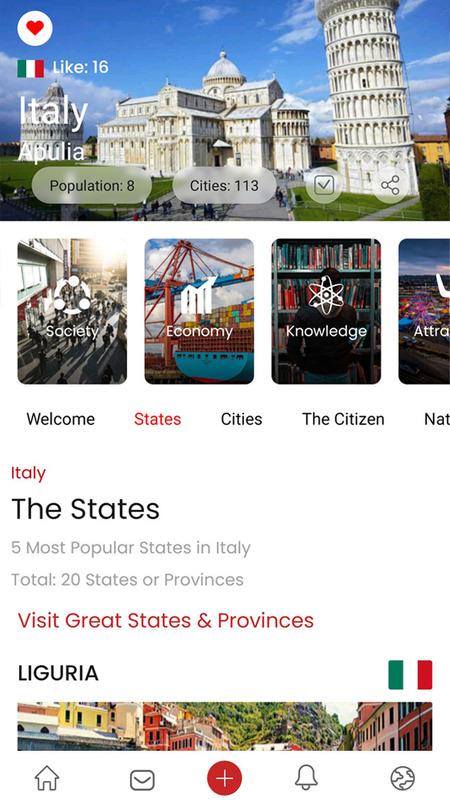 Visit great countries and travel to amazing provinces, cities and nice districts and learn about different culture, heritage, history & other interesting facts. DewaNations allows you to easily find friends with the same interest from around the world under their name, gender, flag or nation. Form your own political party and control the parliament and ofcourse control your country. Interesting idea for a social app. Can't wait to see where it goes. Great ideas in just one app. DewaNations App for Android and BlackBerry OS 10.3 is now available on Google Play Store. With both casual and high-tech user interface (UI) style, DewaNations will be running on web-based and also iOS and will be available to download from Apple Store soon! You can also download DewaNations App for Android from this landing page now! Please click on the Google Play Store button below. © 2018 DewaNations. All Rights Reserved.